The National Club Football Association is excited to announce that it has extended its agreement with Wilson Sporting Goods through 2021. Under the terms of this agreement, Wilson will supply NCFA teams with the “Official Football of the NCFA,” or the Wilson GST 1003 Leather Game Football, for practice and games. All NCFA members may purchase Wilson GST 1003 Leather Game Footballs at member-exclusive prices. Each Wilson GST 1003 Leather Game Football is handcrafted at the Wilson Football Factory in Ada, OH, and carefully constructed and molded to ensure the truest flight paths and spirals in the game. The Wilson GST 1003 Leather Game Football is the number one football selling in the United States. It is used by more than 180 NCAA programs and nearly 40 state high school football associations. When ordering, teams have the opportunity to customize their Wilson GST 1003 Leather Game Footballs with their team name and the NCFA logo. Teams looking for more information about ordering should contact Joe Shaffer at 412-321-8440 x106 or at Joe.Shaffer@CollClubSports.com. Check out the latest news and happenings around CollClubSports in the May 2016 episode of Suite 301! Check out all the latest news and stories around CollClubSports in the May 2016 edition of The Scouting Report! Check out all the latest news and happenings around CollClubSports in the April 2016 episode of Suite 301! Check out all the latest news and stories around CollClubSports in the April 2016 edition of The Scouting Report! The NCFA is pleased to announce that Metro State University of Denver has officially joined the NCFA as an independent for the 2016 season. Check out the the latest news and happenings around CollClubSports in the March 2016 episode of Suite 301! Check out the latest news and stories around CollClubSports in the March 2016 edition of The Scouting Report! 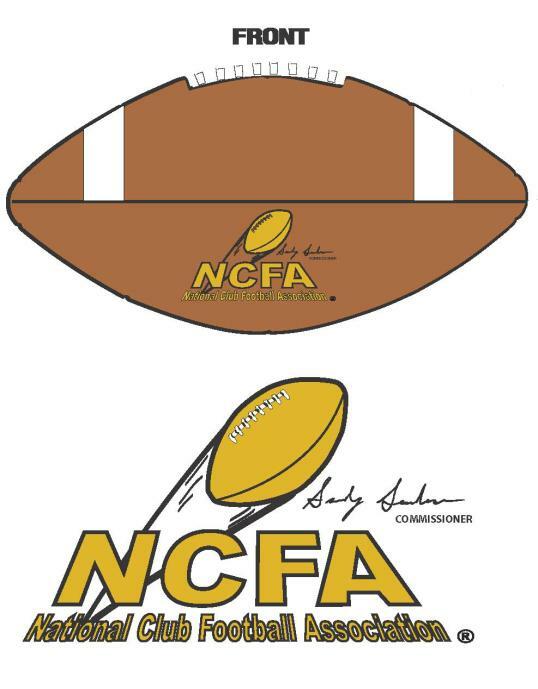 The2016 NCFA North Atlantic Conference Schedule has now been officially released.